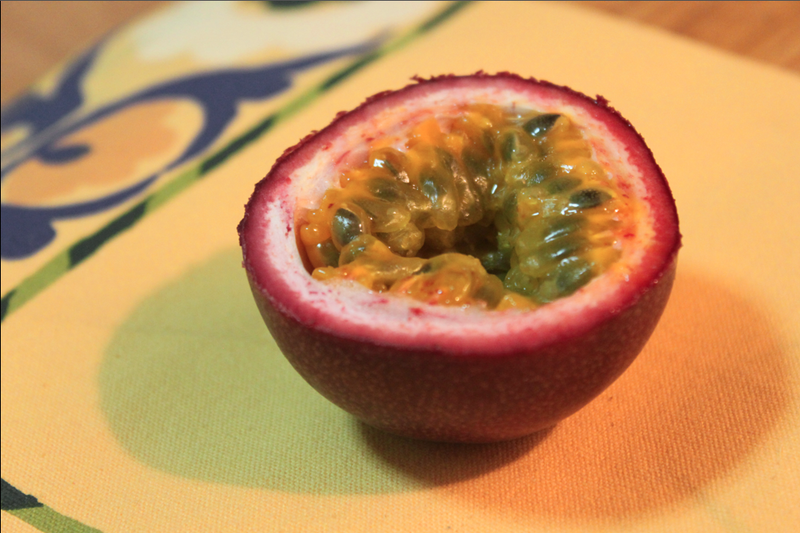 A little plain looking on the outside, passion fruit is anything but plain on the inside. Just looking at this makes my mouth pucker! Throw some on a salad, put it in your ice green tea, top a bowl of ice cream with it or my favorite - cut it in half and eat it straight with a spoon. Zhōngqiū jié kuàilè! - Happy moon festival!